I seldom need protection from snow and ice, but I use Musher's Secret on my dogs pads when we run in the sand. I find it protects their feet the same way that waxing my boots makes them last longer. Musher's Secret is easy to use and I prefer it over boots as long as there are no sand spurs. "We use it year round." Our Lab (was a seizure dog for my nephew) is allergic to just about everything. Gets shots, pills special food etc. Poor guy still doesn't get much relief. His paws itch and he chews his pads to rawness. This dog liked the taste of anti-chew products that made us retch! 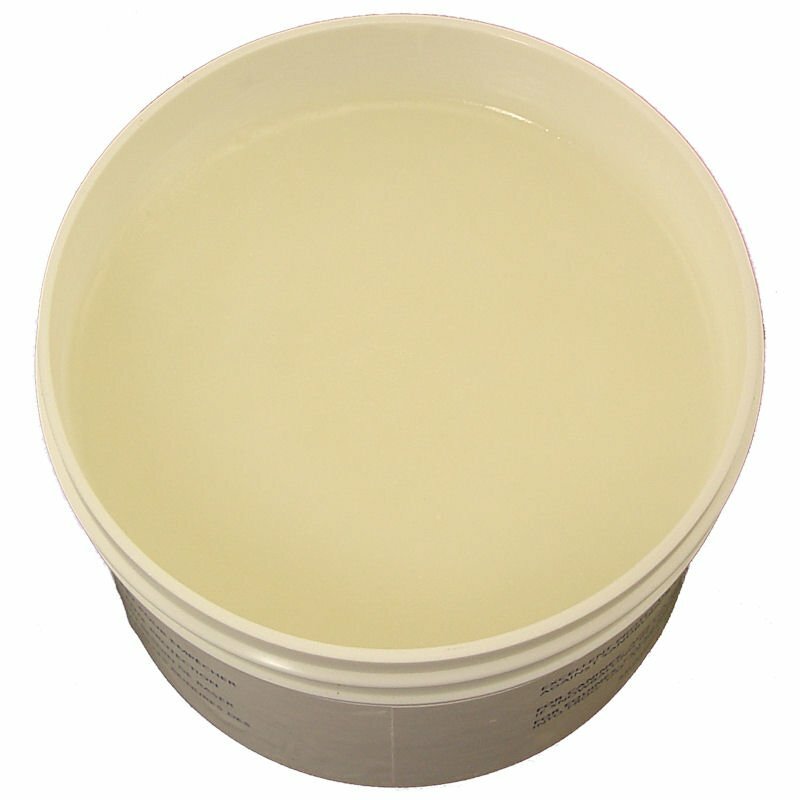 Tuf-Foot gives him instant relief and reduces the redness in the raw spots within hours. He seems to enjoy the application. We apply Mushers Secret on the pads after the Tuf-Foot dries. This combo has healed and maintained his paw pads better than any other regimen tried the past nine years. Mushers Secret dries quickly and lasts longer than other products even with covert licking and chewing. We use it year round. "Put musher's on his pads, and he could have gone another 2 hours. We quit because I got cold." Had our first snow of the season last night. Took him out this morning in the snow for a 2 hour run and walk in the snow. Put musher's on his pads, and he could have gone another 2 hours. We quit because I got cold. Great stuff! "Musher's Secret provides protection without spotting carpets, bed sheets etc." Heidi is a working certified therapy dog, and we are exposed to many surfaces in the course of her visits to facilities - carpets, blacktop, sidewalks, gravel, and often this results in sore paws. Musher's Secret has solved this problem and provides the protection she needs without spotting carpets, bed sheets etc. Thanks!! Keeps paws clean of snow and ice building between toes.. Helps with cracked sore feet. A must have in the toolbox on the road. German shepherd,lab mix. Family pet. I live in Minnesota and walk my dogs daily; however, the really cold days bother them to where they hate going out even for a quick bathroom break, so I tried the wax. It's easy to apply, smells good, and doesn't stain. It doesn't need to go on every time you go out, just a few times a week. A word of warning: freshly waxed paws and lineoleum floors DO NOT MIX! My GSD went galloping into the kitchen, didn't make the corner, and almost took out several appliances. Make sure your dog goes outside right after you apply the wax, then their feet aren't so slippery when they come back inside! FANTASTIC product! We get snow and ice there are days that I want to protect Cramer's feet -- so ice does not build up between his pads. Tried boots, but they pulled on the dewclaw and caused a lot of pain. Musher Secret keeps the pads clear, and if I put it higher up on the leg, keeps the snow balls off. He is not only my pet but my service dog, so he deserves the best. And the customer service at Gun Dog Supply is #1. Great product. Helps heal dry and cracked paws. Worked great. Kept snow out of my dogs feet while hunting. Glad to find this here. Bought it to have available at lure coursing trials to help protect or treat paws from minor abrasions from running. On the 24 inch lead I purchased, the snap is not good quality. I would rather pay more and get a better snap. "Easy to use and dries quickly." We walk 4 to 8 miles a day for exercise. This product protects his paws from the rough terrain. Easy to use and dries quickly. He hates his feet to be touched, but it's easy to apply. Love it. It works perfectly. Just started going hiking on the weekends, and without mushers secret, my dog paws were getting burned on the hot sand and rocks, as well as dried out. Once we put it on, no more problems, and it doesn't clump at all unlike another brand we tried previously. "Has helped my 1 yr old German Shepherd"
Has helped my 1 yr old German Shepherd. He is cow-hocked and twists his back legs when he walks which has led to sore pads. I used Tuf Foot along with Mushers Secret and between the two products, he is no longer limping. Also hooked him up with neighbor's 1 yr old female Weimaraner, and he runs like no tomorrow trying to herd her, getting great workout along the way! Thanks to Steve/GDS for making this possible! "We went on a 5 hour hike and sad to say her paw pads were raw and pealing. I've been using the Musher's since then and it's fantastic. Her paw pads look great after a long hike." I hike every weekend with my little cutie Domino. She is part beagle and part dalmation if you can picture that. We went on a 5 hour hike and sad to say her paw pads were raw and pealing. I've been using the Musher's since then and it's fantastic. Her paw pads look great after a long hike. I'll be buying more when needed. I highly recommend the wax for anyone who takes their animal on a long hike. "Does a great job of keeping snow and salt from hurting the pads. Good in hot weather surfaces also." Does a great job of keeping snow and salt from hurting the pads. Good in hot weather surfaces also. "I don't know what I would do without this product!!" Wonderful. I don't know what I would do without this product!! "With musher's secret they are out and about for nice long walks, which keeps them more sane inside." The product arrived very quickly, and there was plenty of communication about the order and tracking information right away. This winter has been hard on the dogs because they would need to come back inside shortly after going out for a walk because their paws hurt. With musher's secret they are out and about for nice long walks ,which keeps them more sane inside. Great way to relieve wintery cabin fever. "With the winter we have had in the Northeast, Musher's Secret really helps protect the dogs' paws from the elements." 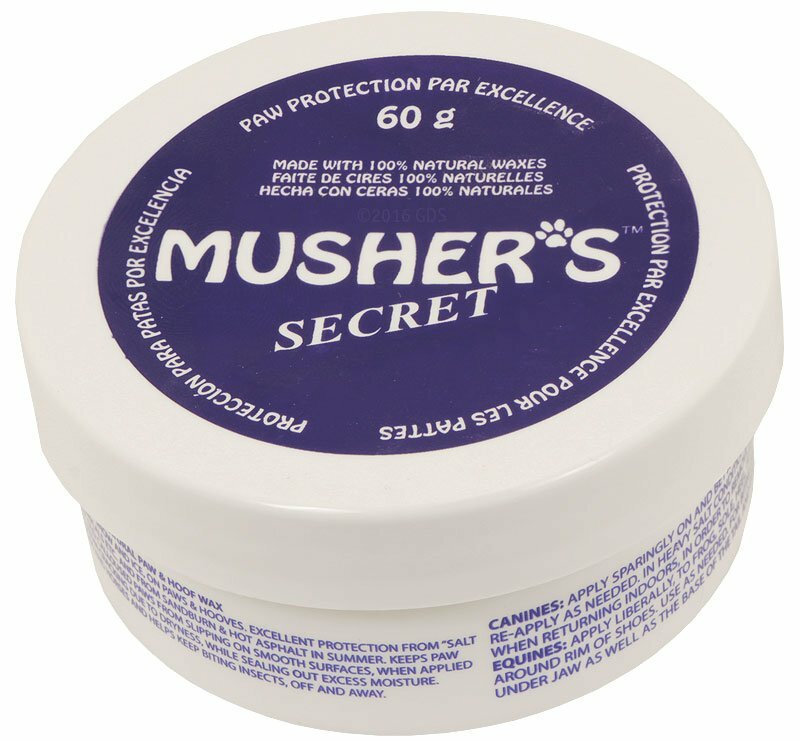 With the winter we have had in the Northeast, Musher's Secret really helps protect the dogs' paws from the elements. I understand it is used in Alaska for the sled dogs for the same purpose. I have used it for years, first with my Newfoundlands, and now with my Beardies. It is a great product. "What luck to find Mushers!!" Our old pet is having a great winter--even with a game leg. The leg meant that when he started listing his feet that were aching with cold, he was just falling on his back. What luck to find Mushers!! "I know my dog is little, only 7.5 lbs, but his paws need protection too." I know my dog is little, only 7.5 lbs, but his paws need protection too. He loves to have Mushers worked into his paws. He does not chew at his paws and is very comfortable with the product. I hope this keeps his paws supple and free of damage through below zero temperatures we endure. He cannot stay out for long, but he does go out every day. Seems to work fine. It does soften the pads quite a bit. I am not sure that is really beneficial when working on rough ground, but so far so good. "It lasts much longer than Vaseline, which is what we normally use. Plus, its fifty times less disgusting during application." It lasts much longer than Vaseline, which is what we normally use. Plus, its fifty times less disgusting during application. "Delivery was fast, no problems." I gave this rating because I haven't had a chance to use the product excessively yet. So far it's seems good. I will say that the shipping cost for this was over half of the price of the item, which is ridiculous. To charge 8.00 for shipping this small item is too much. And the cost for the item for the quantity is too high. Delivery was fast, no problems.